Trenaver 200 is an excellent anabiotic steroid, with a relatively small androgenic activity, which causes a soft, gentle action. It is made from all such preparations by the smallest number of negative side effects and by a large number of positive ones. For example, it can be weak progestagenic activity, lack of aromatization in estrogen, absence of excessive fluid and its accumulation in tissues, gynecomastia. Used in the vast majority of "heavy" sports, in bodybuilding and power lifting, stimulating the growth and development of muscle mass, freed from water and subcutaneous fat. It is highly valued by athletes around the world for reducing the production of cortisol in the body, which destroys proteins and contributes to the accumulation of excess fat. The drug is used for strictly medical purposes, for example, in the treatment of erectile dysfunction (impotence), as it contributes to increased libido and sexual activity. The main active substance in the preparation is trenbolone enanthate. The duration of exposure is from 10 to 14 days, and the time for complete elimination from the body is 4-5 months. After the expiration of this period, the presence of a steroid in the body cannot be detected. This opens up wide opportunities in preparation for competitions. High stimulation of musculature development. And not only the set is stimulated (for an eight-week course the athlete can gain up to 10 kilograms of muscle mass) but also structuring. Significant increase in strength indicators and feedback from training. The concentration and explosive growth of insulin-like growth factor in the body is up to 200% above normal. The drug promotes the burning of subcutaneous fat, increasing the release of growth hormones. This also includes positive side effects, such as increased libido and stopping the destruction of proteins in the body. Trenaver 200, with respect to dosage and schedule, is completely nontoxic for the liver, as well as for other organs. No deviation even at the maximum permitted dosages. 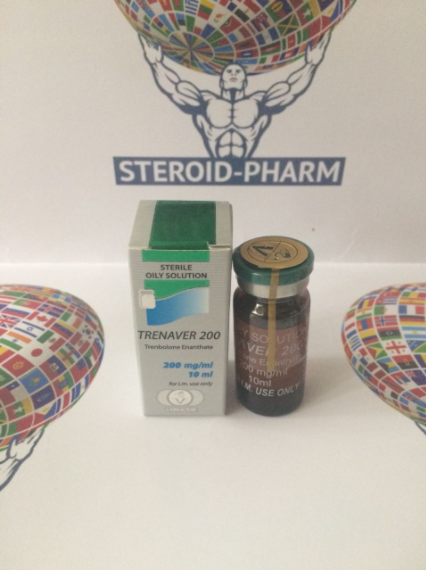 Trenaver 200 is not subject to aromatization - the liquid will not accumulate in the body, there is no risk of gynecomastia, which is an additional advantage for athletes of power sports with heavy loads. However, as with any medicine, Trenaver 200 has a number of negative side effects that occur when the dosage is disturbed, the schedule of reception or predisposition of the body to such manifestations: increased blood pressure, hair loss, sleep disturbance, acne, increased skin fatness. It is important - with multiple and systematic violation of doses of reception and reception schedule, ignoring the emerging negative side effects of Trenaver 200 can lead to a decrease in the production of their own testosterone, down to the atrophy of the testicles. Be sure to monitor the dosage and timing schedule, as well as consider the possibility of taking compensating drugs - gonadotropin and tamoxifen. Combine this steroid with ephedrine or Clenbuterol is not recommended. 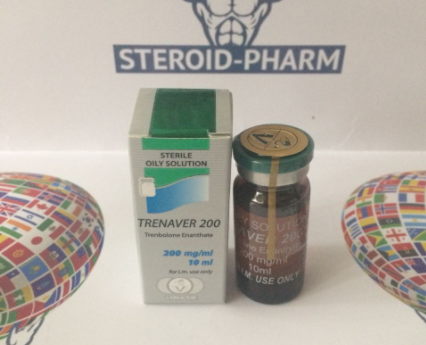 As you can see, Trenaver 200 is an excellent steroid that helps mobilize body resources, modify metabolism and spur a set of pure muscle mass with its structuring. It has a number of positive side-effects and is safe when the dosage and schedule are met. During the course, you must carefully monitor your condition for prompt intervention if necessary.